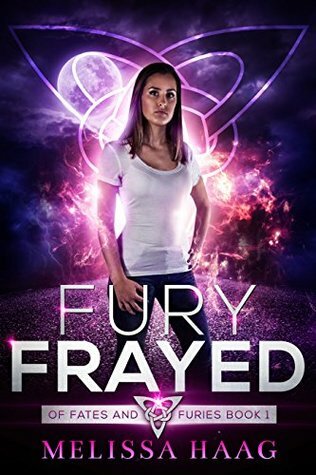 Susan Heim on Writing: Fury Frayed Book Blitz: Giveaway for $200 in Amazon Gift Cards and 20 Signed Paperbacks! Fury Frayed Book Blitz: Giveaway for $200 in Amazon Gift Cards and 20 Signed Paperbacks! Megan’s temper lands her in Girderon Academy, an exclusive school founded in a town of misfit supernatural creatures. It’s the one place she should be able to fit in, but she can’t. Instead, she itches to punch the smug sheriff in his face, pull the hair from a pack of territorial blondes, and kiss the smile off the shy boy’s face. Unfortunately, she can’t do any of that, either, because humans are dying, and all clues point to her. WITHOUT WARNING, HE SCOOPED ME UP AND WALKED INTO THE HOUSE WITH ME IN THE LIGHT OF THE KITCHEN, I STUDIED HIS FACE. HE LOOKED MAD, HIS JAW HARD AND A FROWN TUGGING HIS LIPS. VERY NICE LIPS. HIGH CHEEKBONES AND A STRONG NOSE. HIS GAZE FLICKED DOWN TO ME JUST BEFORE HE STARTED UP THE STAIRS. DEEP BLUE EYES. I HAD AMAZING TASTE IN DREAM MEN. I love writing paranormal and fantasy romance stories. After finishing up the Judgement of the Six series, I thought I was ready to trade in my broody shifter males for something bit more mythological. Wouldn’t you know it … a few shifters snuck in! But I managed a healthy selection of other creatures that made this series truly unique for me.